The Mobility Roadshow incorporating Get Going Live! 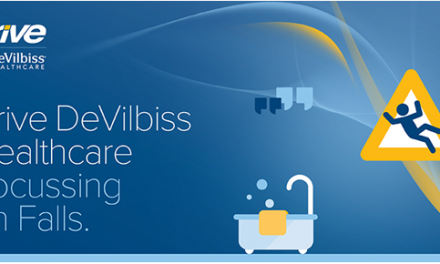 will showcase the latest new adaptive products and services to enhance independent mobility (26-28 May, Silverstone Circuit, Northants, open from 10am daily). 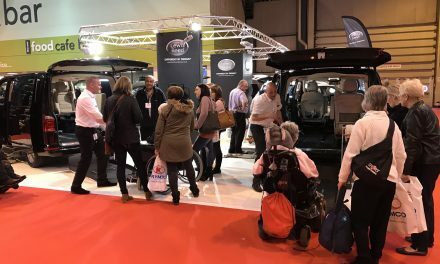 Organised by charity Mobility Choice, the free-to-attend Mobility Roadshow is Europe’s leading consumer-focussed event for people of any age living with restricted mobility. Since 1983, this premier international show has provided the perfect location for specialist manufacturers to launch their latest innovations – Silverstone will once again deliver this unique showcase. Autoadapt Turny Low Vehicle in swivel seat installed in a Audi A4. 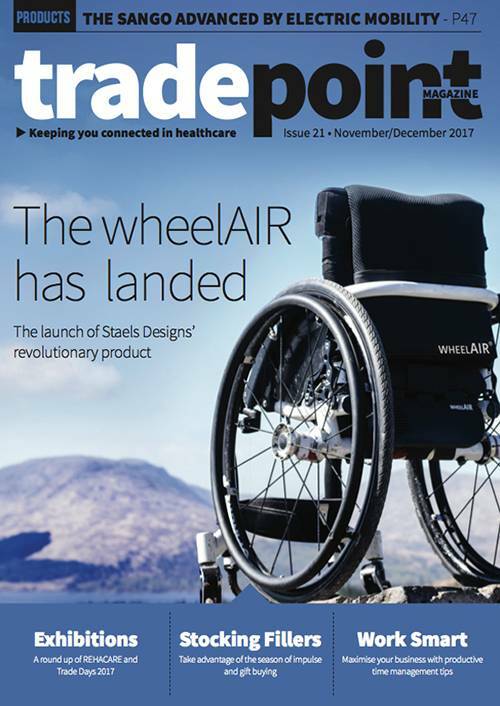 These leading specialists will be launching their latest swivel seat – The Autoadapt Turny Low Vehicle. This new concept allows you to choose vehicles that were previously impossible to adapt. By utilising previously unused space in the vehicle, this product will fit in a wider range of vehicles, provide excellent leg space and head space as well as vastly increased seating comfort. The award winning (‘Able Magazine, Naidex 2016 Best In Show Award’) Segway style Genny Urban wheelchair is a modern two-wheeled personal mobility device. It uses a self-levelling system derived from the Segway, can go forwards or backwards, accelerate and brake by using intuitive upper body leaning movements. Steering is simple with just a light push left or right on the handlebar and Genny boasts an exceptional turning circle. Lewis Reed has its top 8 converted vehicles, including its unique new Mercedes-Benz V-Class and Vito models, at the 2016 Mobility Roadshow. 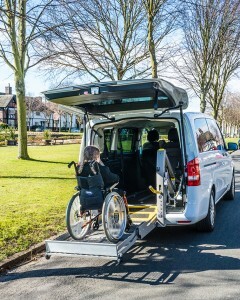 The V-Class and Vito provide flexible seating positions to offer greater practicality to wheelchair users. 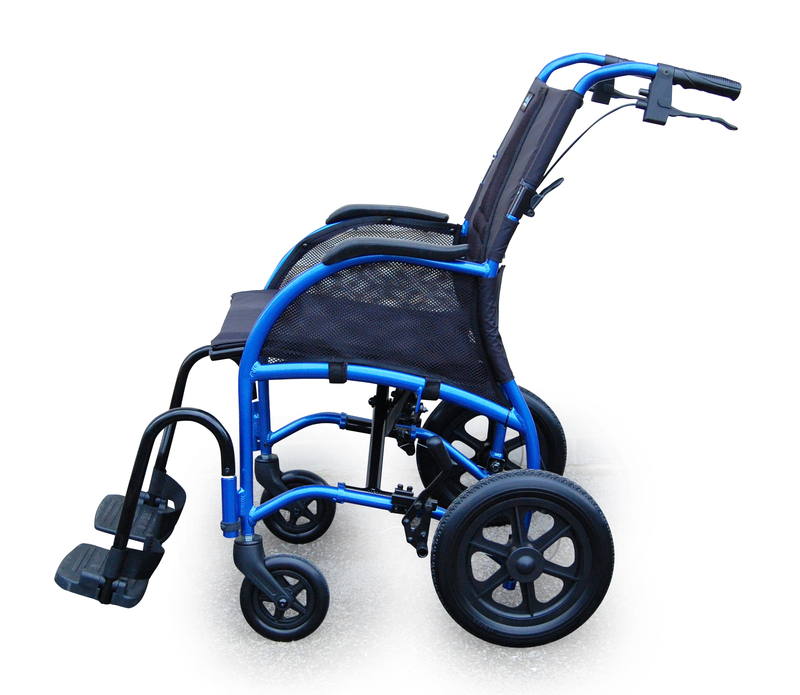 The adaptable floor mounted rail system is quick and easy to use providing a choice of up to 6 passenger seats and a number of wheelchair positions. The V-Class and Vito models are available in a number of wheelbases to provide adequate space. Electric sliding doors are fitted on both sides. The large automatic powered tailgate opens to enable a remote controlled rear lift. or lowered floor and lowering suspension. to aid the wheelchair user’s entry into the vehicle. 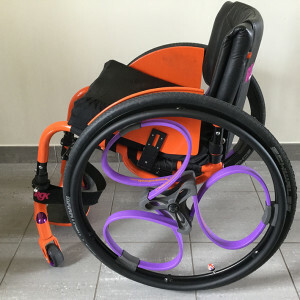 British manufacturer Loopwheels is celebrating its first year selling shock-absorbing suspension wheels for wheelchairs by introducing a range of new Carbolife ergonomic push rims to The Mobility Roadshow. The rims offer a greater surface area for braking and changing direction, as well as better pressure distribution to prevent brake burning. 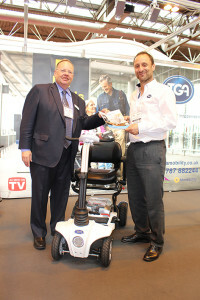 Luggie Scooters is showcasing the latest mobility scooter to join its range – The Luggie Super. The Luggie Super will carry up to an impressive 25.7 stone and weighs 26kgs (excluding the battery) and offers more legroom, a wider seat, wider handlebars and a digital LED display screen. Along with a larger motor the Super provides top-of-the-range transportation. 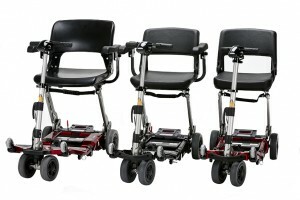 Available in three colours, it comes complete with armrests and an off-board charging unit, giving the option to charge the scooter anywhere. 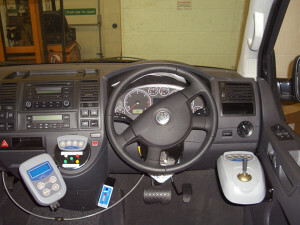 Mobility Networks will be launching its new ‘Flexi’ range of accessible vehicle solutions at The Mobility Roadshow. The new FlexisRamp is an aluminium vehicle access ramp which will lead the world in terms of performance, reliability and durability. The FlexiWinch is a reliable and safe solution providing powered winching of a wheelchair and occupant into an accessible vehicle with a rear access ramp. 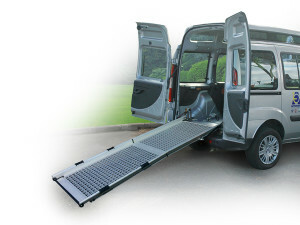 Also the new FlexiStep will be unveiled – this static, manual or powered step provides a strong and safe platform for easier access into a side or rear van/mini-bus doorway – includes optional LED edge lighting. The new folding Maximo is a 4mph folding scooter which is based on the best-selling smaller TGA Minimo. Despite its larger size, the Maximo is ideal for travel and can be folded in seconds with no parts to be dismantled. The latest version, debuting at The Mobility Roadshow this year, includes an improved fully adjustable tiller and more supportive seat, ensuring drivers with conditions can relax their shoulders, arms and hands completely when driving – essential for avoiding stiffness. The spacious floor-well allows drivers to stretch out their legs and the active rear suspension minimises bumps whilst driving. The new seat has additional cushioning so stability is improved which really helps owners with back problems and allows users to tackle rougher terrain with confidence. 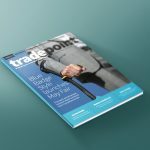 The Mobility Roadshow 26-28 May, Silverstone Circuit, find out more at www.mobilityroadshow.co.uk.